At their July meeting, the Executive Committee of the ELPTF unanimously voted to donate up to $10,000 to the Town of East Lyme to upgrade the security system at the Boardwalk, Cini Park, Hole in the Wall, and McCook Park. Ted Norris and Bryan Buckley are the co-chairmen who will liaison with Chris Taylor, the East Lyme Fire Marshal, and Dave Putnam, the Director of Parks and Recreation. The donation will be used to upgrade to HD cameras which will include super advanced night-vision. In addition, cameras will be added to the Boardwalk, Cini Park, Hole in the Wall, McCook Park, and the boardwalk and beach parking lots. The Town, which will be in charge of installation, will begin Phase I of this multiphase project at the Boardwalk. 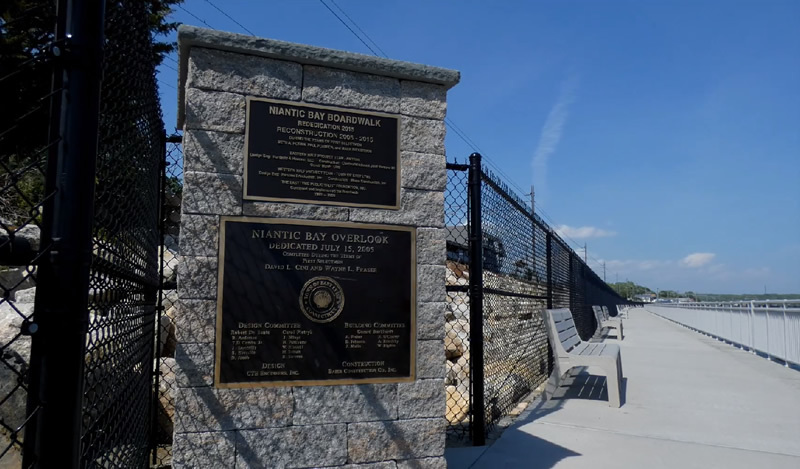 The upgrades are in response to the July 2 vandalism that occurred at the Niantic Boardwalk in which six memorial benches were damaged. There is an on-going $1,500 reward for information leading to the arrest and conviction of these vandals. Anyone with information is asked to contact the East Lyme Police at 860-739-5900 or by texting “ELPD” and their message to 847411. Mark Nickerson, the First Selectman, has said, “Although every community in the country has vandalism, the East Lyme/Niantic difference is that we are a very proud community. When this type of thing happens, it affects us personally.”The Foundation wants the citizens of East Lyme and our visitors to know that we are pledged to do all in our power to protect our beautiful Boardwalk and Parks.